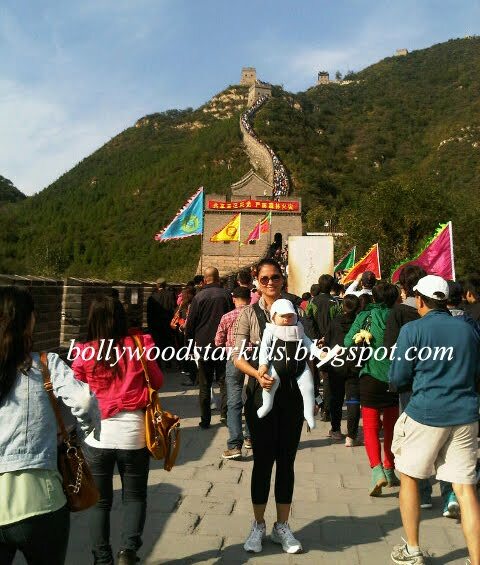 Lara Dutta tweeted a picture of her with daughter Saira Bhupathi at the Great Wall Of China. "Had my 1st experience of conversing with a chinese cabbie y'day. Wasn't pretty:-). I think he understood more of what Saira was babbling!" "Star baby or not, attempting a diaper change on the Great Wall of China is no mean feat!!! :-)", added Lara along side the photo.